The evolution that mankind is of vibration is something many of us seem to forget. Every element that is omitted blends with the earth and so the two are as one. Vibrational Energy Therapy© is a 5 minute hands on healing technique where the therapist applies the gentlest touch to the client on the upper body, hands & head areas allowing connection from one vibration with another. It is like having a mini “tune-up” to your body to help shift that “foggy” like feeling we sometimes experience. This therapy is enhanced by having the Vibrational Journey of Sound CD playing gently in the background, allowing connection to all levels of the source. The vibrational senses collide creating a calming and cleansing affect on the receiver. Check out Testimonials. Vibrational Energy Therapists are certified practitioners who can offer this 5-10 minute technique that involves touch, sound & colour. Ideal for adults & children! 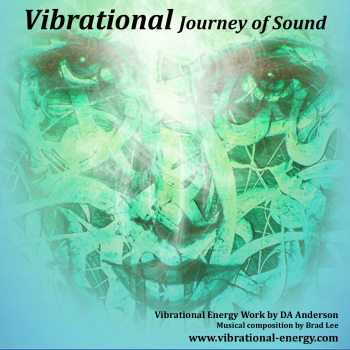 Vibrational Sound Therapy© is the connection with everything that resides on our Earth and beyond. It’s the sounds we hear both audibly and the indistinct vagueness that we just know is there on a cellular & etheric level ultimately connecting us to the Heavens or Universe. Ether is space. Musically it is the space of where all tones and sound exist, whether we can hear them or not. How many times have we said something like “it just sung to me” or “this sings to me” without actually hearing a note or tone. It is just a knowing, a sense that it is right. It is the rhythm that beats within us. It is the sense of a flow of vibrational energy that moves through and around us. Each pitch and tempo produced on each Vibrational Sound CD is produced from the spirit of the soul. It is the inner life force or chi that each of us has, which needs to be in balance with our universe, always. Period!